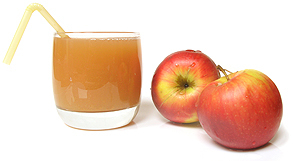 Our apple juice Not From Concentrate (NFC) is squeezed from selected varieties of Polish apples with no added water or sugar, without enzymatic treatment or clarification. As a result, cloudy juice that has been pasteurized at low temperature only. Because of this process rich taste, natural color and turbidity remain. “Bag-in-Box” is a packaging system consisting of a polymer air-tight bag in a carton with a tap. Such packaging helps preserve the juice’s freshness after opening up to 4 weeks. Why is it worth drinking our juice? • they help keep your cardiovascular system healthy.